Today we can find any information about any topic on the internet. Books are the traditional study materials, and still today, most of us study only from a book. Though books have been our friend for centuries, but online study materials also work hand in hand and help us to learn anything and everything. It also helps us to crosscheck any fact on various topics and brings us any information in just few seconds. When studying online, the most important thing you need is a good internet connection which will not interrupt your study. An appropriate place is also may be necessary to keep your laptop and make you comfortable. Sometimes, students get distracted while studying online and tend to use various other websites as well at that time. Thus maintaining full concentration is necessary for them. They can study at home if not distracted by other things. They can also study at cafes, restaurants if the employees allow them to hangout for a longer period. Time flexibility is a major characteristic of online learning. Sometimes this turns out to be a good sign and sometimes not. Online learning does not force you to attend lectures and classes at particular time, but maintaining a strict study schedule is very necessary for the students. Though time doesn’t matter that much, the students must follow a discipline and complete studying their materials on time. One idea is to study online during the same time like the normal university hours. This will help to maintain a strict discipline and will lead to better result and move towards the path of success. As the students won’t be attending lectures, it will be hard to remember important dates like exams etc. thus the students should maintain a personal study calendar. The calendar can add important notifications about the course from their instructors. Having a calendar of your own can help you to mark quiz dates and exam dates which will help you throughout the academic process. Computers prove to be a distraction for us. It can be helpful to turn your computer off while studying. 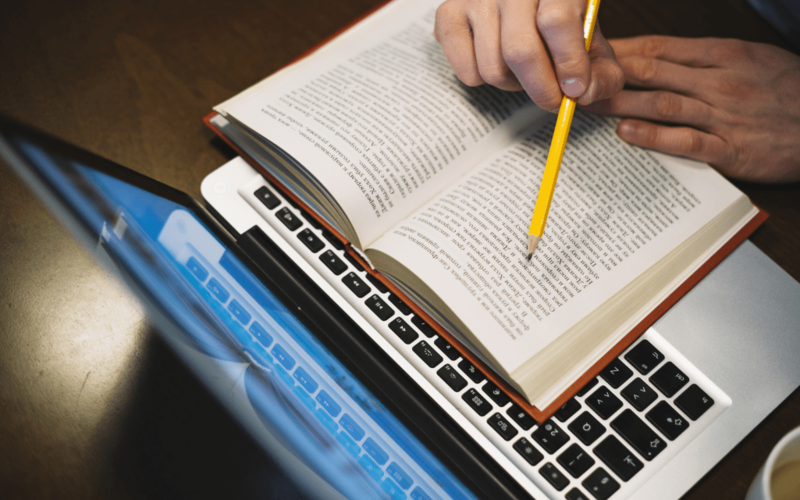 Thus printing your study materials and having it in hand will help you to study online materials without using your computer. It is also easy to learn by highlighting the papers. Printing out syllabus, course schedule is also a good idea as it can be kept throughout the course and be referred and followed accordingly. The students should also take notes online similarly like a physical lecture. Handwritten notes are better than printed notes as they increase your retention and help you to memorize faster. Thus sitting with a pen and paper in case of online studies is also very effective. Try to only jot down the general idea of the context and study. This will help you to understand the topic better than writing every line by line. Re-watching lectures is also a helpful idea as it well help you to memorize more and more. It will be difficult to memorize and understand your study material if you have a social media site or video playing site opened in another tab of your computer. Studying needs full concentration and these distractive medias can lead to a setback to your dreams. Thus while doing your class work or homework, avoiding these sites will be a better option. The students can also install some apps which will restrict them from using certain websites during a certain assigned amount of time to help them to concentrate better. Setting a goal is also very necessary to achieve something. Not knowing what to study can cause wastage of time and make you feel irritated. Thus setting a goal and breaking the material into parts and study accordingly can prove to be beneficial. Studying by maintaining time is also very helpful as it will prepare you for your exams. You should also remember your goal throughout the year. Remember the marks you want to obtain and prepare yourself accordingly. Only aiming for higher marks and no preparation can prove to be a blunder. Memorizing is hard for many students. Thus taking quizzes and tests by your own can be a nice idea to make yourself more prepared for the actual exams. The students can also look for practice tests and quizzes online and take themselves to a better way. Taking frequent breaks is also very necessary to freshen up your tired minds. Human brains slowly decrease concentrating after doing it for a long time. Thus taking breaks for like an hour or so and doing stuffs like watching tv, listening to music, playing can refresh your mind and recharge you for studying for the next few hours. Instructors are our mentors who help us to study the contents properly. The role of an instructor in case of an online course is very important. They cannot be seen every day. But this should not demotivate you as you still can reach them. Having any sort of problems during your study can also prove to be a problem if you do not ask your instructors. Thus whenever having any trouble, send an email to your instructor asking for clarification. Having a web camera is very effective. It will help you to have face-to-face conversations with your instructors and guide you accordingly. Thus we can say that studying online is proving to be beneficial and many online courses are being opened up to attract students for applying to those courses. The students are showing eagerness to study online as it comes with many advantages and they can study effectively.